We offer a unique background and experience in Civil Engineering, Geotechnical Engineering and Construction Materials Testing that allows us to provide a level of quality that no other firm in the area can. This allows us to oversee the quality and craftsmanship of the construction. We have a clear understanding of project needs and are able to work with our clients to provide valuable information for a successful project. We always ensure that materials used on the project and their placement is according to industry standards. We are committed to each project and will analyze each for value engineering, technical soundness and resource allocation. 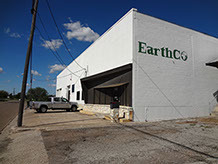 EarthCo is located in Harlingen, Texas serving the lower Rio Grande Valley and surrounding areas. Find out what EarthCo can do for you today.